To some, the phrase “model minority” invokes a strong sense of pride; to others who have been labeled with the term, it bears feelings of shame and confusion. How did the term “model minority” become popularized and associated with Asian Americans in the U.S.? Not all ethnic groups underneath the “Asian” umbrella term, however, have the high socioeconomic and educational achievement background, and Southeast Asian families–including Vietnamese immigrants and households–often live below the poverty line. So why, then, do young Vietnamese Americans get grouped under this term? Vietnamese refugees, citizens, and communities at large have played a large role in promoting the portrayal of Asian Americans as the exemplary minority as well as American Dream ideology of hard work and determination leading to success. This “positive stereotype” has negative consequences for both individuals and racial relationships that shape our day-to-day interaction and group-based perceptions and ultimately perpetuate the marginalization of Asian communities as a whole. The term “model minority” first appeared in a 1966 New York Times article called, “Success Story Japanese American Style.” This was a countermovement attempt during the Civil Rights Movement to try and maintain the status quo by presenting social inequalities as an innate and cultural problem rather than racial injustice. The title of “honorary whites” hides the history of racism against Asian immigrants and makes it seem as though Asian Americans have always been a successful immigrant group due to their cultural values around family, education, and hard work. The phrase “model minority,” unfortunately, implies that there is a lazy, underachieving “other.” The use of the success stories of Asian Americans has been used to help maintain an investment in meritocracy and the idea of the American Dream. The model minority has been criticized as a hegemonic device that “maintains the dominance of whites in the racial hierarchy by diverting attention away from racial inequalities by setting standards for how minorities should behave” (Lee 1996). This term was originally based on the relative success of only a small population of Asians in the U.S.: East Asians and Indians–though today it encompasses Asian Americans as a whole, it ignores the fact that not all Asian groups have been successful. One of the most popular examples of the typical “Asian success story” is the rise of Vietnamese Americans in academia. But just as the model minority myth glosses over the low-income levels of Vietnamese households, it also fails to recognize the struggles Vietnamese families face while attempting to pursue a college degree by touting that 49% of Asian Americans have a college degree, compared to the 25% for white citizens. Disaggregated statistics provide a better understanding of where Vietnamese families fall on the education spectrum for Asian Americans. It’s important to note the role that other Asian groups play when combining statistics — while both Vietnamese and Indian populations in America are large, 70% of Indian Americans have a college education compared to the 20% of Vietnamese Americans, which masks the low percentage of Vietnamese Americans who have attained the same level of education. The myth of the Vietnamese student who is good at calculus, or the sure-fire shot into prestigious private colleges and on the way to medical school, is a stark contrast to the reality of Vietnamese Americans in secondary and higher education. Supporters of the myth often cite a popular statistic–that Asian Americans outearn white households by almost $15k (U.S. Census). However, this statistic fails to address the discrepancies among a socioeconomic and educational background of the Asian community. Just as the earnings of the top 10% skew the national income, the earnings of higher-income groups (i.e. Indian households earning an average $100k) skew the average Asian American income and disguises the low-income status of most Vietnamese Americans. These statistics do not account for the long hours that many Vietnamese business people must work in order to compensate for the wage discrepancy. About ⅕ of Vietnamese workers were employed in personal care and service occupations and more than half of the Vietnamese employed in this category are “personal appearance workers,” a euphemism for manicurists and pedicurists. These workers often contribute more than the typical 9-5 that their white counterparts do, and still earn less overall. Income statistics often do not account for different costs of living across North America. Asian Americans are more likely to live in metropolitan areas that have high costs of living, such as in California, New York, and Hawaii; Vietnamese American populations are the highest in California. Therefore, even if Vietnamese households do earn more in these areas, they ultimately must spend more to maintain the same lifestyle that would otherwise be more affordable in cities of lower cost. Ultimately, even if Vietnamese Americans do earn as much as the Asian American average or as much as the white average, there are countless barriers that prevent them from increasing their salary at the same rate. For those who manage to obtain an education and negotiate a competitive starting salary, the “bamboo ceiling” keeps them from advancing through management and to other executive positions. While stories of successful Asian families building homes in expensive parts of the United States have gone mainstream, Vietnamese American narratives have often been neglected or omitted. Many of them are clustered into ethnic enclaves where their relatives first settled in upon arriving in the States as refugees with little mobility since then. Looking into income levels as a measurement of “success” might hide the struggles of other Asian groups, but even poverty level statistics cannot disguise this: although Asian Americans had a median income 20 percent higher than that of non-Hispanic whites in 2012, the Asian American poverty rate was 11.7 percent in 2012, and the white poverty rate was 9.7 percent. Vietnamese citizens makeup about 10% of the Asian American population but have a poverty rate of 13.9%, which is higher than the Asian American average, as well as the white poverty rate (Ahmad and Weller 2014). The Vietnamese-American experience is a far cry from the typical media depiction of the stereotypical high-achieving household. To this day, they are only perceived as successful due to the lack of data disaggregation when collecting statistics on Asian-American earnings and livelihood, as well as selective and filtered narratives published to mainstream media. Though the mass Vietnamese migration took place mostly in the United States (due to the nation’s direct involvement with the war), it is just as important to note the development of the Vietnamese community in both Eastern and Western Canada. Most Vietnamese newcomers were not able to integrate themselves into mainstream society, and often formed poor economic and cultural districts. As a result, Vietnamese Canadians fit no more into the model minority myth than do Vietnamese Americans, though it is important to note the difference in income and education among Vietnamese Canadians from Montreal. Vietnamese workers in Canada also face a similar “bamboo ceiling” that exists in the United States. For example, compared to applicants with Anglo names, Asian-named applicants with all-Canadian qualifications had 20.1% fewer calls from organizations with 500+ employees, and 39.4% and 37.1% fewer calls, respectively, from medium-sized and small employers (Keung 2017). On top of workplace discrimination, they must also face fierce competition from well-established immigrant communities such as Chinese, Indian, South American, etc. The unemployment rate is 8.3% for Vietnamese-Canadians, compared to 6.5% for all Canadians. The rate for Vietnamese-Canadians is mostly led by high unemployment rates in Quebec and BC. Many Vietnamese-Canadians work in the manufacturing sector (27% in Canada, 35% in Ontario, compared to only 8% for mainstream), retail (9.7%) and restaurant sector (12%). This is countered by Vietnamese in Quebec, who have the highest percentage working in health care, as well as other science fields. Vietnamese living in other large Canadian cities do not have the same level of education and integration as those in Quebec. Only 16% of Vietnamese-Canadians have a university degree as their highest level of education, compared to Canadian average of 26% (Statistics Canada 3, VSS Canada). This is mostly likely increased by Quebec’s rate, since 28% of Vietnamese in Quebec are university graduates. In contrast, 8% are in British Columbia and the two have similar population sizes. It’s important to acknowledge that Canada’s census data is outdated and aggregated. The most recent census data is from 2006 and groups many Southeast Asian countries into one population making it difficult to disaggregate information about Vietnamese households from others, such as Laotian, Cambodian, etc. Because of this, many of the statistics surrounding Vietnamese-Canadian households and populations are affected by groups that may be more disenfranchised. The limited data and generalized methodology highlights the danger of potential misrepresentation when looking at statistics. New information will be released in August 2017. Canada’s research is heavily emphasized on provincial discrepancies with less attention towards race (Statistics Canada). In order to understand the complexity of the model minority myth in Canada, future research must be disaggregated. It will also be important for social research to accumulate more research on the history and experience of the various Asian Canadian immigrant communities. Just as many statistical research is aggregated, research on the experience of immigrants to Canada is often grouped despite differences in history and experience. To understand the complexity of the model minority, one must take the time to understand how its influence and effects are different depending on gender. As leaders practicing cultural competency and advocacy, we need to understand that not all experiences are the same. We often are quick to recognize racial differences and class differences but do not acknowledge gender differences. Model minority statistics are often bolstered by Asian male counterparts, which ignores the biases against Asian women in the workforce, who are torn between two sets of demands: they must either abide by the model minority stereotype and be high achievers, or they fall into the traditional roles in the household, in which there is heavy emphasis on devotion to the husband and family. For women who want to fulfill their traditional Asian roles, they must risk sacrificing professional development; for those who want to pursue their career, they jeopardize their culture’s perception of them. The emphasis on benefits of Asian heritage and lifestyle, accentuated by the media’s insistence that the hardworking and devoted nature of Asian households, further disguises the fact that Asian women suffer at the expense of preserving their culture. Domestic violence at the hand of an intimate partner affects up to 61% of Asian women in the U.S. (including refugees and immigrants), but victims’ reluctance to speak out and seek help, exacerbated by the model minority myth of a thriving Asian household, hides the abuse from media attention. Emphasis on male dominance in Asian culture, traditionally closed and hierarchal nature of Asian families and the stigma against domestic abuse further increase the victim’s vulnerability to battering, and their inability to address it. The myth is hurtful to Asian males as well: portraying Asian men as a typical model minority promotes their image of being studious, non-athletic, and desexualizes them in media portrayals. It can also pressure them to uphold several pillars of success, in the workforce, academia, and the household maintaining an unsustainable work ethic–a clear double standard between the image of success and the reality of Vietnamese male refugees grappling to learn basic spoken and digital communication skills (Xuan Truong Thi Nguyen 2011). Even in the workplace, the model minority myth can be used as a cover for a racialized glass ceiling. Transgender Asian American existence is obscured by the myth. Transgender and non-conforming Asian Americans often live in extreme poverty, with 18% of households reporting an income of $10,000 per year. This is higher than the rate for transgender and non-conforming Americans of all races (15%), the general Asian American population (3%), and the nation (4%). They also face higher rates of discrimination in the workforce, with a 12% unemployment rate compared and also 21% reporting having lost a job due to bias (NTDS). Though this does not cover specifically the effects within the Vietnamese community specifically, the damages on such communities and households that subscribe to gender norms are very similar. Whether the target is a refugee or born in the United States, the myth hurts male, female, and non-conforming Vietnamese Americans. A dangerous consequence of embracing this identity and taking pride in being the “model minority” is a prejudiced attitude against other races. 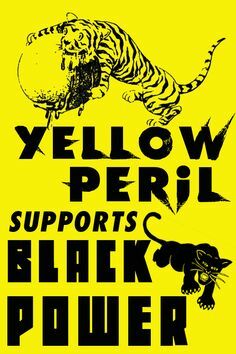 Though the Vietnamese community has historically faced discrimination from white Americans, it is also well known for its involvement in anti-black and anti-Latino racism. Several factors, ranging from media portrayal and strong individualism, have contributed the Vietnamese community’s perception around race. Individual pursuit of life opportunities and social mobility rather than working as a political community due to a history of facing discrimination, intergroup competition, and a negative public reaction to immigration has separated the Vietnamese diaspora from other marginalized groups. Vietnamese refugees often play into the individualistic ideology of success and mobility. Nhi T. Lieu, in The American Dream in Vietnamese, traces the embracement of individualism among Vietnamese immigrants back to the Cold War and introduction of U.S. goods during U.S. military intervention. As a result, “the vision of a successful and secure life included the accumulation of wealth and material goods” when refugees and immigrants started coming to the U.S. (Lieu 132). While studies by Daniel Miguel Campa using the 8-item collectivism/individualism subscale of the Individualism-Collectivism Scale (Singelis, Triandis, Bhawuk, and Gelfand 1995) indicate that cultural values of collectivism and family remain strong among U.S. born families and immigrants, there has historically been a lack of support among the Vietnamese communities for other marginalized groups and movements (i.e. BLM). Furthermore, lack of education has pushed the community into categorized labor forces. Unfortunately, many Vietnamese families, especially older generations and immigrants, believe in the individualistic root cause of problems. 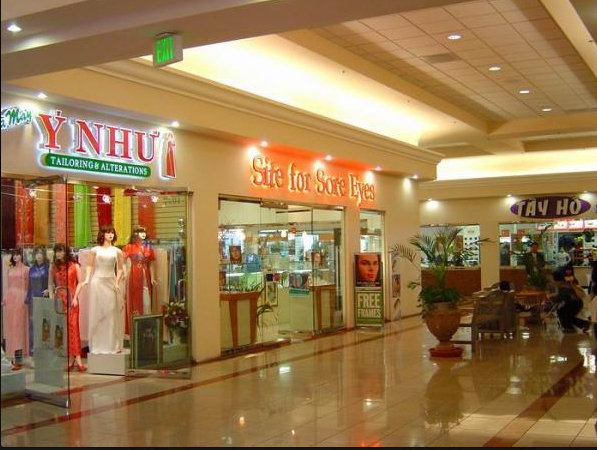 To many hard working Vietnamese, if the family does not have the resources to pursue higher education, working in the family restaurant or salon business is perceived to be the “natural thing to do.” In fact, “about one-fifth of Vietnamese workers were employed in personal care and service occupations” (Monthly Labor Review). To these families, lack of education is seen as a personal financial issue rather than an institutionalized issue in which education is becoming increasingly privatized. This is part of a broader issue of how the U.S. often associates problems to be individualistic. For example, about 50% of more affluent people and 39% of poor people believe that the poor are not doing enough to help themselves rather than attributing poverty to structural factors (Lichter and Crowley 2011). Another important consideration includes the media’s portrayal of race. Fear mongering of “thugs,” “drug dealing,” and mass incarceration and crime create biases and a sense of cultural superiority and immensely contribute to false perceptions of blacks and Latino. Rhetoric such as Ronald Reagan’s denouncement of black women on welfare alongside calling Asian-Americans the “exemplars of hope and inspiration” on the T.V. and in the news contributes to the disenfranchisement of black people (Wong 2014). The combination of a lack of education and negative media portrayal of other race makes it difficult to differentiate what is accurate and what is blown out of proportion. As mentioned earlier, the model minority identity was a tool used to shift attention away from racial injustice during the Civil Rights Movement. While it is disguised as a “positive stereotype,” it only perpetuates the status quo, creates a standard for how minorities should act, and pits groups against each other. The danger in claiming a “color-blind” world is that it ignores the very real consequences of race. By ignoring the different life chances and barriers associated with race, one starts to create an attitude that race does not matter. Pointing to the success of Asian Americans as a way to say that social mobility has nothing to do with race diverts attention away from the systemic barriers that marginalized groups must face in order to move up in life. As a result, when race gets shifted into a 1-dimensional problem, people start ignoring other intersecting identities. Foregoing the intersectionality of identities and struggles is similar to cutting the weed but not pulling out the roots. 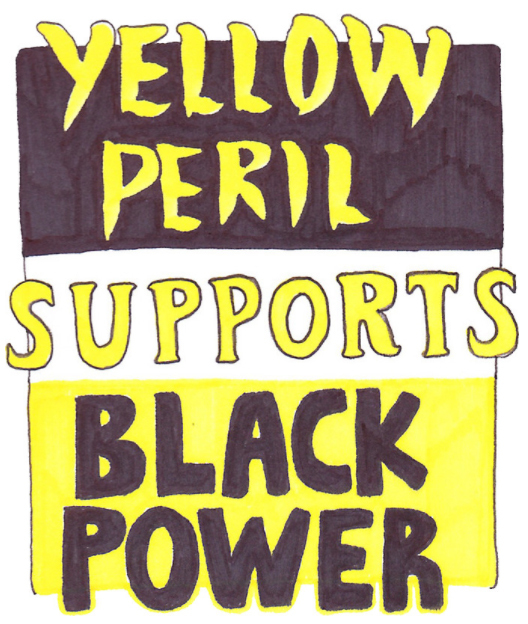 If one is to advocate for racial equality for one group, one has to advocate equality for all. When success becomes measured in standardized tests and set standards, it becomes easy to credit accomplishments and setbacks to personal characteristics rather than as a combination of social structures, history, identities, and personality. It sends a message that certain skill and capability are “innate” and racially bounded. Attributing skills to natural talent limits opportunities and disempowers and disengages individuals. 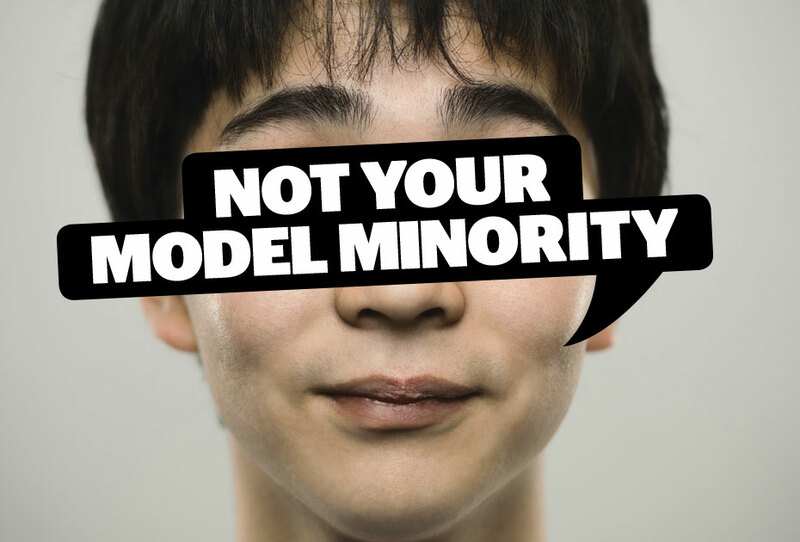 For those who embrace this “positive stereotype,” the model minority myth fosters a sense of cultural superiority and entitlement within the group and between the group. Buying into the model minority, therefore, only perpetuates the status quo because it justifies the social stratification among class, race, and gender. This leaves little room for engaging in dialogue and problem solving because it dismisses personal biases, the history of racial injustice, and different experiences. Not acknowledging the history of oppression and differences in experience and opportunity results in an incomplete understanding of class, gender, and racial issues. The consequences of embracing the model minority myth are plenty: it reduces Asian Americans to single-dimensional characters, stunts creativity from an early age, suppresses ability to talk about emotions, isolates those who do not enjoy or have a natural talent for STEM careers from parents and other students, and creates a false perception that Asian Americans do not face discrimination or have community and cultural needs. The psychological distress that occurs from either not achieving and meeting standards or from upkeeping such high standards has shown to lower self-esteem, higher rates of mental illness, and a devaluation and depreciation of education among Asian Americans. The model minority myth was designed to be an overt tool of oppression disguised as a positive goal that all minorities should pursue. Regardless of its portrayal, this myth still suppresses our options and categorizes other groups. It was not a spontaneous creation, but rather a systematic attempt to counter the Civil Rights Movement and intentionally promote individualism, neoliberalism, and shift perceptions around race and class/social mobility. Fighting this myth demands an understanding of the intersectionality and complexity of the relevant issues: it is not simply a racial issue nor simply an Asian American issue, but it is one the Vietnamese community can take a stance on and begin to counter. Kat Phan is a senior at Stanford University studying computer science, and interested in pursuing the intersection between technology, education, and activism. Originally from Tacoma, Washington, and a soon-to-be Bay Area transplant, she has a vested interest in the dynamics of large (and relatively established) Vietnamese communities and how they affect relevant issues such as gentrification, violence against PoC, and fair labor. She first became involved with UNAVSA as a Visionary Scholar in 2015, returning as a culture show cast member, and is currently part of both the IT Cabinet and the UNAVSA-14 Marketing Committee. Kevin Le is a junior at the University of Colorado Boulder studying sociology with a passion for social justice and an interest in education, public, and environmental policy. Born and raised in Denver, Colorado, Kevin strives to empower the Vietnamese youth to practice civic engagement and take on leadership positions to both promote the Vietnamese culture and advocate for other marginalized communities. He first became involved with UNAVSA as a Visionary Scholar in 2015, returned as conference staff on the Hospitality Committee for UNAVSA-13, and is currently part of the UNAVSA-14 Logistics Committee. Kat: I originally tackled this topic after seeing too many organizations and individuals throw around the term “model minority” without understanding its history and implications. Most people who understand that it is a negative thing often don’t see how the Vietnamese community is affected by such statistics–they often just stop at the infuriating! idea that all Asians are high achievers. Indeed, that is a hurtful implication of the model minority myth, but that is not the only problematic aspect of it. Though my co-writer and I set out to highlight realities of Vietnamese American households, we made sure to address Vietnamese Canadian lifestyles. Unfortunately, literature regarding the latter is surprisingly sparse. This is by no means an academic paper (though we often joked we should consider writing our future dissertation on something tangential to this), but we hope it is educational nevertheless. Kevin: I originally started writing this blog thinking that it was going to be a relatively short snapshot of the history and effects of the model minority myth. As my co-writer and I started to combine our two different fields of knowledge, it became evident to me that we were not going to be able to fit everything into this one blog. The few topics that we did manage to discuss–race, gender, and education/income discrepancies–may have seemed either brief or perhaps overwhelming given the complexity and intersectionality. Whatever you may feel, it is important to carry that new passion, frustration, confusion, etc., forward by seeking further knowledge and understanding. The road to becoming more socially just and responsible leaders is not an easy path for it is a lifelong journey. Channeling those feelings toward a goal (i.e. civic engagement, self-knowledge, education) will help you take the first step towards making the change that you want to see happen.